Nanometer zinc oxide (nano-ZnO) is widely used in many kinds of fields. However, information about the toxicity and toxic mechanism of nano-ZnO is limited. The aims of this study were to investigate the long-term toxic effects of unmodified 50 nm ZnO administered by gavage in mice. After 90 days, hematological parameters, hepatic and renal functions, and oxidative and anti-oxidative status were measured. Pathological damages in livers, kidneys, and other tissues were also examined by hematoxylin and eosin (H&E) staining. 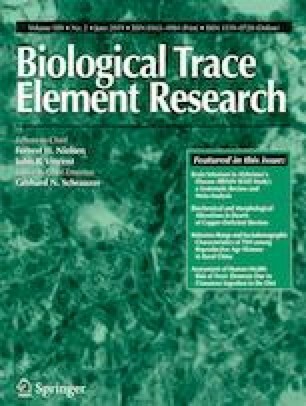 The results showed that oral nano-ZnO exposure induced anemia and damages to liver and kidney, influenced the antioxidant system, and impacted functions of liver and kidney in mice after a 90-day exposure. The main cause for oxidative stress in vivo induced by nano-ZnO might be hydroxyl free radical. The lowest observed adverse effect level (LOAEL) was 40 mg/kg·bw, and the livers, kidneys, lungs, pancreas, and gastrointestinal tracts are the target organs. This work was supported by the National Natural Science Foundation of China (Nos. 31402263 and 41301562) and China Scholarship Council (Grant No. 201608410282).